One of my greatest passions is reading. I developed this passion at an early age, and have continued to strengthen it over the years. In addition to being my passion, reading is also an important part of my role as Vision Room Curator at Auxano. In that role, I am responsible for publishing SUMS Remix every two weeks. SUMS Remix is a modified book summary in which I develop a solution to a common problem faced by church leaders from 3 different books. So, preparing SUMS Remix in 2018 alone means I have gone through over 100 leadership and organization development books to arrive at the 79 used in producing 26 issues this year. Other parts of my role requires reading current trends books, used for social media posting and content writing. Then there’s my passion area of Guest Experience, in which I am constantly researching customer service books for application for churches. I’m building The Essential Guest Experience Library. And, as many readers know, I am a Disney Fanatic – which extends to building a Disney library, currently over 300 volumes and growing! Finally, there’s just the pure pleasure of reading – an almost nightly hour or two in the late evening reading a wide range of books, both brand new and classics, fiction and nonfiction. First, a disclaimer: I did not read all 191 cover to cover. With such an immense (and pleasurable) task in front of me, and knowing there is more to my job than reading, I have to resort to some method of finding out what an author is trying to say without reading the whole book. There’s a few dozen of that total in which I only read the “highlights,” following the methods below. Here’s how I did it – and, of course it starts with a book! Elementary Reading – What does the book say? Inspectional Reading – What is the book about? Analytical Reading – What does the book mean? Syntopical Reading – What does a comparison of books on the subject reveal? Some books are only meant to be read at the first level; others are meant to be digested at some of the other levels. Know which is which! Flip through the material, scanning the chapter titles and subheadings. Note the words that stand out as bold, different colors, underlined, or italicized. Examine the illustrations, captions, charts and diagrams. Read the pull-quotes and sidebars. Scan through the index looking for buzz words that interest you. Flip through the book and read the first sentence of each paragraph in each chapter. In a well written and edited book, the most important sentence containing the topic is usually the first sentence of the paragraph — but not always. Read the last chapter. If there is an executive summary, read it. Read any other information on the cover or dust jacket. If the book captures your attention after doing the above tasks, then by all means dive right in! The converse is true: if a book doesn’t capture your attention after a few attempts, stop reading it. Pick out another one on the topic – there are always more waiting for you! With that caveat in mind, my “cover-to-cover” reading for 2018 was 127 books. For the curious, like picking your favorite child (I have four), I don’t typically make a “Best of” list for the year. I find some value in almost every book I read, and for me, that’s good enough. While the knowledge gained from reading is important, the real benefit is from the habit of reading. When you are continually reading, you condition your mind to keep taking in new knowledge. Your thinking remains fresh and sharp. Your brain is always churning on new ideas, looking for new connections it can make. Every day you pour in more ideas, which your brain must find a way to integrate into your existing knowledge base. Frequent reading fires up your neural activity, even during the periods when you aren’t reading. Reading is a gift that you can unselfishly give yourself, one that truly keeps on giving. Why don’t you bless yourself and those around you by reading a new book in the first weeks of 2019, and sharing its wisdom with others? Me? Well, I’m visiting one of my favorite bookstores tomorrow, I’ve got three books lined up for delivery via Amazon by the end of next week, and I’m headed to the library today to pick up another couple on reserve. …if you don’t start in the morning! They may be hand-drawn animation, or computer-generated imagery, or even real actors in a stage play or musical. Whatever the media, there’s a powerful story – and life lessons – in Beauty and the Beast. To Gaston, a book with no pictures might as well have blank pages. To Belle, a good story doesn’t need pictures to be understood. For me, reading is not an occupational afterthought, but a vocational necessity. As Vision Room Curator for Auxano, books are a daily reference point in my work life. The primary use is for our book summaries. I am currently in our sixth year of releasing a book summary every two weeks. The first two years focused on a single book each issue, called SUMS. For the last four years, SUMS Remix has been focused on a single problem statement, with three solutions from three different books, along with a practical Go Ahead action for each, designed for church leaders to put into immediate action. With a four-week production cycle from initial research to shipping the finished issue, I am typically engaged in six to twelve books for SUMS Remix at any given time. As Digital Engagement Leader for Auxano, I am responsible for providing content for multiple accounts across three social media platforms: Twitter, Facebook, and Instagram. On an average day I will post about 25 different items, many connected to current books I am reading, focused on vision clarity and leadership. In my role as Guest Experience Navigator, I am constantly searching for resources to help churches provide exceptional Guest Experiences. One of my primary resources is the world of customer experience in the corporate world, easily adaptable to use for Guest Experience resources. From those sources, I maintain the Essential Guest Experience Library. Finally, believe it or not, I read for pleasure. Most nights I will read several hours on topics ranging from Disney to all kinds of history to how things work to science fiction to biographies to thrillers – and more. As I have written before, my passion for reading was instilled in me by my father, who modeled it for me from an early age. He was self-employed as an owner-operator of a Gulf gas station. Working 12 hours a day for six days a week, he often spent a couple of hours each evening looking through a book about WW II history or travels across the U.S. So where do all these books come from? Amazon and I are on a first name basis, and have been since 1998, with my first book order being The Power of Servant Leadership by Robert Greenleaf. Things have accelerated a bit since then, with my patient and ever-smiling mail carrier now delivering 2-3 packages per week. I maintain a huge wish list on Amazon, and family and friends looking for gift ideas soon roll their eyes at the choices they have! Because I read and write so much about books, I’m fortunate to receive many complimentary books from authors before their publication. As an Amazon Associate, I benefit from purchases from my two websites. All the funds received are turned right around and used to purchase more books. Then there’s the weekly trip to my local library, picking up a couple or more books that are new releases. While all these are great sources, what I really love to do is browse used bookstores. Within a short drive from my house, I have two Goodwill stores and a Habitat Restore, all having a good selection to browse through. In the greater Charlotte area there are several more that I try to visit every couple of months or so. That takes care of local bookstores, but what about others around the country? Give me an hour to kill and I will most likely head to a bookstore. When I’m in another city for work or pleasure, the first thing I search for is used bookstores (the second is the local’s favorite doughnut shop). So it was not at all unusual for me to schedule a couple of hours to visit bookstores while in Detroit recently. On the recommendation of a friend who lives there, Greg Gibbs, I left early for the airport, and headed through downtown Detroit with an address and a sense of anticipation. Greg had just told me the minimum – a legendary used bookstore that had been around since the mid-60s with “a lot of books” (I should have known he was up to something by the grin on his face). What I found was a bibliophile’s dream. John K. King Used and Rare Books occupies an old factory building. Since 1965, it has been built upon in-person service. The books are not on a database or listed online; if you are looking for something in particular, you need only inquire. John King’s Bookstore is best experienced with all senses: upon entering you first encounter the smell of old books. Some people are bothered by it, but I find it absolutely mesmerizing. The creak of old wood floors conveys its own feelings: whether five years or fifty years old, the books speak to a source of knowledge all-too-often unappreciated today. Walking up the stairs to the first level and turning the corner, your eyes take in rows upon rows of books, crammed into shelves, from floor to just within reach of an outstretched arm. Taking the offered hand-drawn map of all four floors, you can start anywhere your dreams take you. There is at least one staff member on each floor, and a telephone that goes to the front desk as well. For me, it was the art section, followed by the film and theater shelves. A few finds: a December 1940 Atlantic Monthly magazine with a feature article on Walt Disney that I had seen referenced in several WD biographies; a beautifully illustrated 1940 promotional magazine for the release of Fantasia; several other hard-to-find Disney books. I was only able to spend a couple of hours there, but I did speed walk all four floors and every aisle, pausing at length at more than a few. All too soon I had to leave for the airport. As I paid for my purchases and headed out the door, I was grateful to thank John King for his perseverance, passion, and pure joy in the written word. Somewhere nearby, you probably have a used bookstore. It won’t be anything like John King’s, but in some ways, it will be just like it. What are you going to read today? National Doughnut Day was established in 1938 by the Chicago Salvation Army to honor women who served doughnuts to soldiers during World War I. The holiday is traditionally celebrated on the first Friday of June. 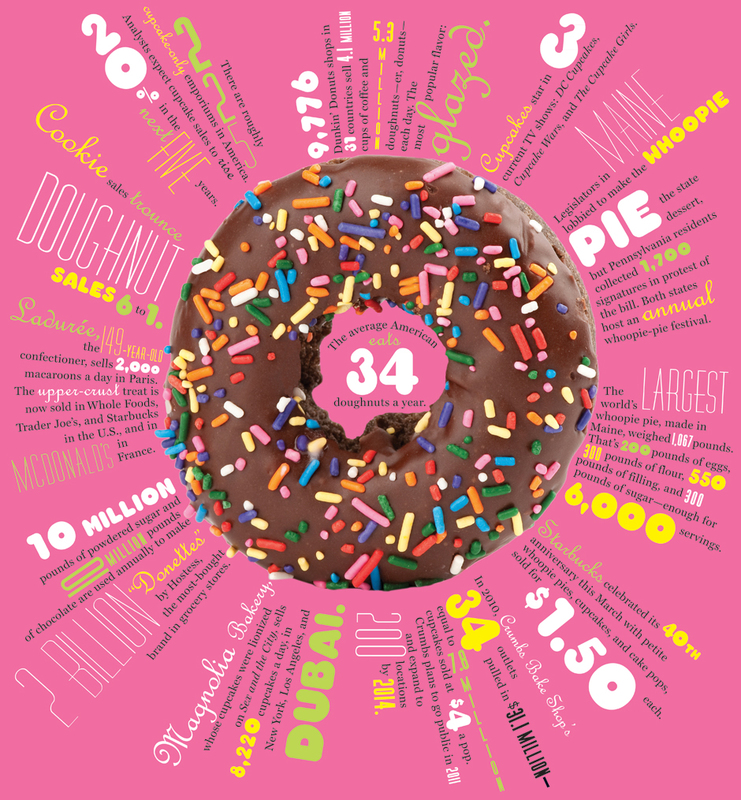 Upon closer look at the picture above – especially the statistic in the doughnut hole – it’s nice to know that I’m above average. 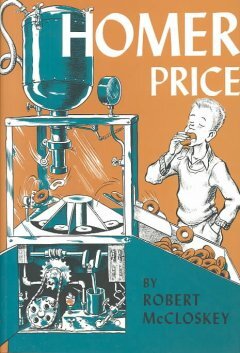 Like many things in my life, this fondness all came about because of a book: “Homer Price and the Doughnut Machine.” I have great memories of reading about Homer and Uncle Ulysses and the automatic doughnut machine. I remembered the image of doughnuts stacked to the ceiling with more coming out of the machine every minute. I’ve looked for a machine like that for a long time, but the Krispy Kreme shop is as close as I’ll come! Reading that book gave me a taste for doughnuts that continues to this day. Thinking about Homer Price, I just happened to be near my favorite used bookstore in Charlotte – Book Buyers. On a whim, I pulled in, went to the children’s section, and there it was, just like I remembered it. With my $1 purchase, I’m going to start the day off, reading the story again – with a doughnut, of course! If you’ve still got a sweet tooth, check out this post on the secrets to Krispy Kreme’s success.